In the market for high-caliber entertainment? Don't miss this week's lineup of acclaimed movies showing on the big screen in and around Evanston. 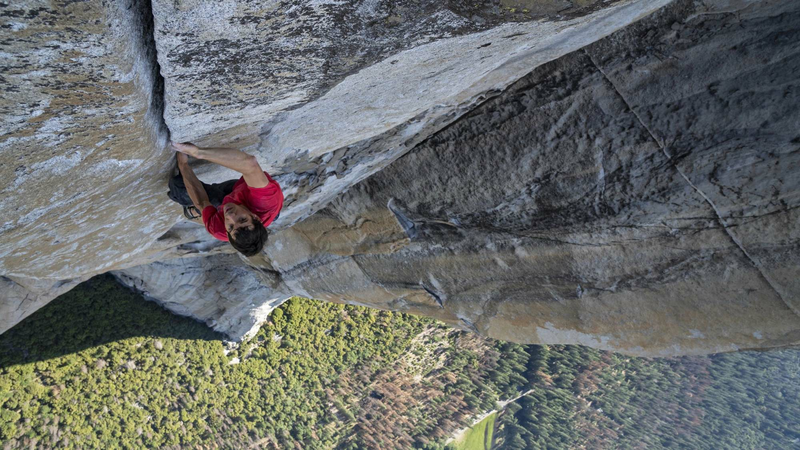 Boasting a 98 percent critical approval rating and an audience score of 96 percent on Rotten Tomatoes, Free Solo has proven to be a critical darling since its release on September 28, with a consensus that "Free Solo depicts athletic feats that many viewers will find beyond reason - and grounds the attempts in passions that are all but universal." The film is nominated for an Academy Award for Best Documentary Feature. It's playing at Century 12 Evanston/CineArts 6 and XD (1715 Maple Ave.) through Thursday, February 7. Click here for showtimes and tickets. With a critical approval rating of 97 percent and an audience score of 96 percent on Rotten Tomatoes, Spider-Man: Into the Spider-Verse has been a must-watch since its release on December 14. The site's critical consensus indicates that "Spider-Man: Into the Spider-Verse matches bold storytelling with striking animation for a purely enjoyable adventure with heart, humor, and plenty of superhero action." The film is nominated for an Academy Award for Best Animated Feature. Interested? It's playing at Century 12 Evanston/CineArts 6 and XD (1715 Maple Ave.) through Wednesday, February 13. Click here for showtimes and tickets. With a 94 percent critical approval rating and an audience score of 62 percent on Rotten Tomatoes, The Favourite has garnered plenty of praise since its release on December 14. The site's critical consensus indicates that "The Favourite sees Yorgos Lanthimos balancing a period setting against rich, timely subtext - and getting roundly stellar performances from his well-chosen stars." The film is nominated for 10 Academy Awards, including Best Picture. Catch it on the big screen at Century 12 Evanston/CineArts 6 and XD (1715 Maple Ave.) through Wednesday, February 13. Click here for showtimes and tickets. With their golden era long behind them, comedy duo Stan Laurel and Oliver Hardy embark on a variety hall tour of Britain and Ireland. Despite the pressures of a hectic schedule, and with the support of their wives Lucille and Ida - a formidable double act in their own right - the pair's love of performing, as well as for each other, endures as they secure their place in the hearts of their adoring public. With a 92 percent critical approval rating and an audience score of 89 percent on Rotten Tomatoes, Stan & Ollie has garnered plenty of praise since its release on December 28. The site's critical consensus indicates that "Stan & Ollie pays tribute to a pair of beloved entertainers with an affectionate look behind the scenes -- and a moving look at the burdens and blessings of a creative bond." Interested? It's playing at Century 12 Evanston/CineArts 6 and XD (1715 Maple Ave.) through Thursday, February 14. Click here for showtimes and tickets. Set to be released on Friday, February 8, Cold Pursuit already has a critical approval rating of 92 percent on Rotten Tomatoes, with a consensus that "Cold Pursuit delivers the action audiences expect from a Liam Neeson thriller -- along with humor and a sophisticated streak that make this an uncommonly effective remake."